Lunchtime Debate is based on the Luke 8:12, which reads, "Those by the wayside are the ones who hear; then the devil comes and takes away the word out of their hearts, lest they should believe and be saved." 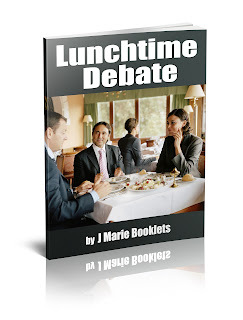 In Lunchtime Debate, a mysterious guy enters the break room where a group of friends are having lunch. The conversation soon turns from religious freedom in the workplace to a debate on religion itself.